It's so fabulous to be back! I accidently stumbled across several new series which I've devoured with much vigour with the aid of much catnip tea and cookies to keep my strength up during this epic reading and audible marathon. But before we get to that, I have to say that I'm still ladder-less, as mew may remember a few weeks ago I got my paws on a library ladder that only elevated me to the mid-level shelves, not up to the upper echelons of the top shelves so this is still an issue which needs resolving, sooner rather than later before I have to send a rather stern letter to the Library Cats Association to insist on better wurking conditions as per union rules and regulations! Now I'm sure many of mew will have read this series already, but it's new to me and I loved it. This is the furst novel in the series. Quilter, Jillian Hart and her three kitties, Chablis, Syrah and Merlot are the victim of a catnapping crime. One of her precious furbabies is taken and that's were the mystery begins. Enter Deputy Candace Carson, who has an eye fur details and is also a fellow cat lover. As the two women investigate the catnapping a more sinister plot is revealed, as well as a dead body and a whole host of other disturbing scenarios. It is furry cleverly plotted with some nice twists and turns in the story to keep mew guessing all the way through. A fabulous addition to anypurrdy's Cozy Mystery collection, which I can't recommend enough. There are 8 novels in the series thus far and I've enjoyed every word of each one! I really enjoyed this book, how about mew? And if any of mew have written a book that mew'd like me to feature; either use the contact form - look left on the side bar - or use the contact us page fur our email address, as I'd love to showcase our furriends pawesome literary talents. That sounds like a very good read. 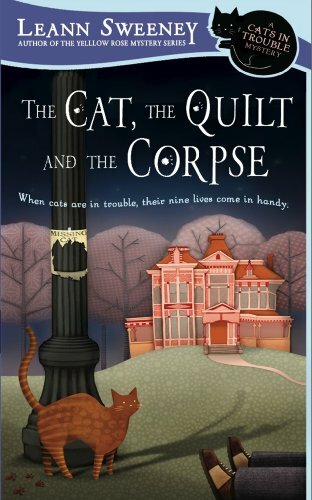 Cats, mysteries and a murder, you can't beat it! This sounds like a great book, one that I will be adding to my list. I'm glad you liked it so much! I missed you Amber. This sounds like a great series. This sounds like a book we'd like to read, Amber! We're going to add it to our list! Hope you get that ladder soon:) They must be hard to come by? MEOW LIKE A PIRATE DAY! ARRRRRRRRR! The WHISKAS® Kitten Kollege Dropouts Campaign!